How hard can it Be? 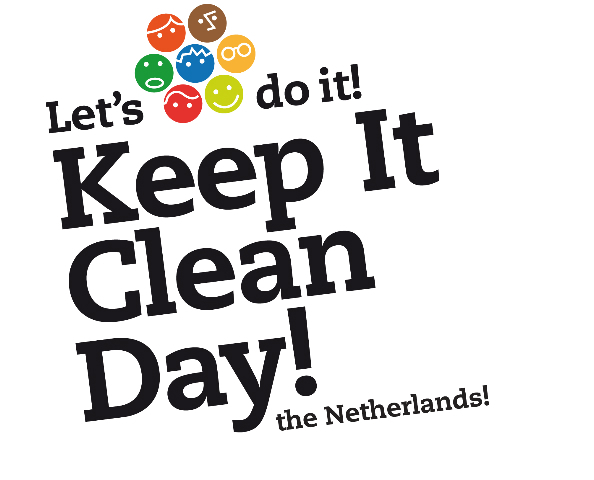 – Keep It Clean Day! The more I thought about it, the more easy it became. How hard could it be? At an agreed time you walk out of the door. With a nice bag in your hand, and if you want a pair of gloves for your fingers. Then you walk down your street or to the park to find some garbage. You pick it up and put it in the bag. So tell me, how difficult can it be? All we have to do is to make sure we have thousands of people at the same time moving. A ‘flash mob’ but in a different way. A wave with a ongoing golf. A relay that is in sync. How hard could it be? So. When everything still seemed to be very easy, I started doing some checking in my social environment. It’s my favorite way of doing research when I think I’m on the right track. And to my own surprise, my friends were optimistic about my plan. They cheered and were full of positivity! So. That way it became even more simple. And then I arrived to the question how? How do you ensure thousands of Dutch people to Clean Up the mess of another? Because yes. That it is – The stuff that has thrown down there by the Other. Not you. Not me. No. The other. The eternal someone else did it. We all know them. The others. And we are not them. Aren’t we? We throw our garbage in the trashcan. Maybe even separated. We pay taxes to our community to hire cleaning companies and ensure that it remains clean. We pay the Parks Department.The sewer charge. The waste taxes. We even pay for our street lights in the dark to shine on us. And then we would still have to Clean Up our Country? No. We do not. That is for the others. Besides, the Netherlands, unlike many other countries, has got little natural areas where illegal dump sites have their home. In other parts of the world the map shows different, and the Let’s Do It! Team created a great app to map that illegal waste. In the Netherlands it’s not necessary to ‘map our waste’. So… Are we really dirty enough? A ‘regular’ Clean Up Day! seemed – after this thinking – not so suitable for our little country. But hey, wasn’t is supposed to be simple? And besides – How can you let the opportunity pass to a period of six months in which eighty-two countries Clean Up the World? You just want to Join! So. Fitting and measuring. Thinking and letting go. And after turning things many times around, we knew it! Not Clean Up. No. Keep It Clean! That’s what we had to do. We devised a Keep It Clean Day! and kept it simple. Just like we wanted. Instead of mobilizing thousands of Dutch people as a volunteer, we turn it around. The Keep It Clean Day! moves from within companies. From organizations. Institutions. Ministries and schools. In that way we can also work on sustainable awareness. An important ingredient for long term strategy. So imagine. An – already – sunny Friday afternoon in September, thousands of Dutch walk from their home -, work – or school environment on the streets and the parks of our country. Bags and Buckets. Shovels and gloves. And in one hour. One single hour, we Clean Up the mess. With each other. And you will see. In the evening our country is a whole lot cleaner. Our hearts will be a lot more satisfied. And our heads free from thinking. We are going Clean towards the weekend. So tell me. How hard can it be?